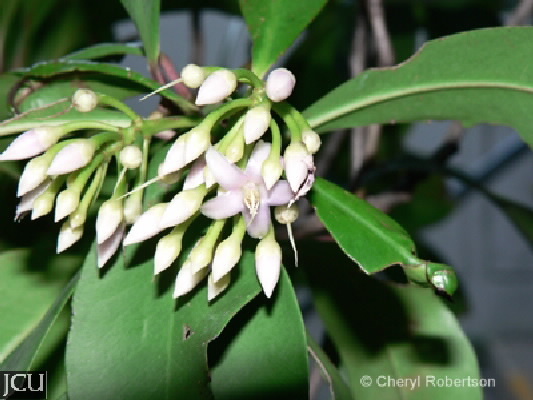 This shrub has become naturalised and is spreading into bushland areas where the seeds have been dispersed by birds. 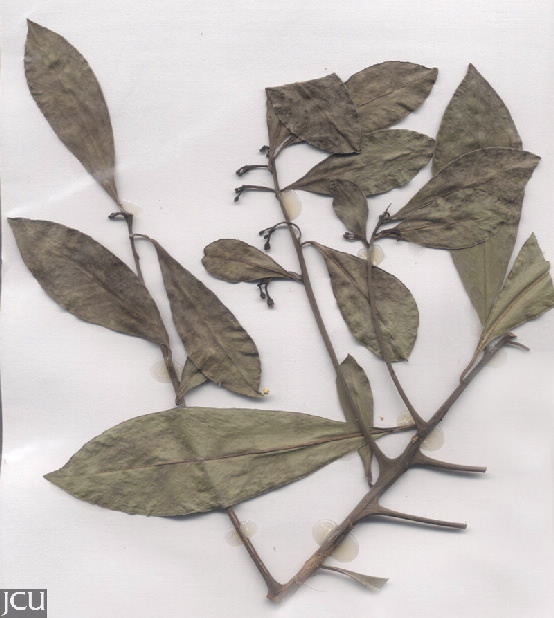 The obovate leaves to usually about 9-12 cm long have a reddish petiole. The white to pink to mauve flowers are star-shaped and in pendulous axillary clusters. These are followed by fleshy black fruits to about 5 mm diameter. Flowering in summer. This species has been confused with A. solanacea, which does not occur in Australia.